The versatile way to organize and fix objects and textiles. For clothing, home textiles and making decorations. Detach and reattach your objects more than 10,000 times. 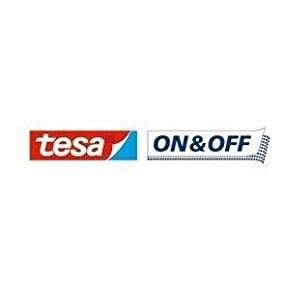 The tesa on and off hook and loop category offers a wide range of products for a multitude of applications when organising items around the home or the office. 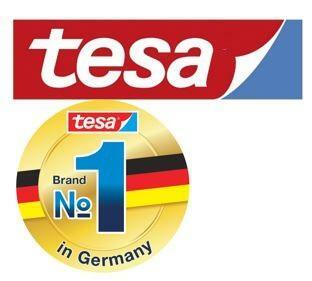 tesa SE is one of the world’s leading manufacturers of self-adhesive product and system solutions. Since 1941, the name tesa has been the umbrella brand used for all self-adhesive products manufactured by our group of companies. The name covers a wide range of different system solutions for industrial and professional applications, as well as about 300 products for consumers. Intelligent tesa solutions make life easier for consumers in schools, offices, in the home and in the do-it-yourself segment. 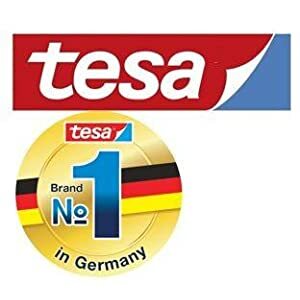 Tesa is one of the best-known consumer brands in Europe and offers high quality products, many of them produced in Germany or Europe. Research and innovation is the basis of tesa’s economic success. Each year tesa obtains patent protection for an average of 70 innovations. Environmental protection and ethical behavior are equally essential corporate objectives and an active continuation of our tradition. Nowadays tesa is present in more than 100 countries around the world and belongs to the Beiersdorf AG (includes brands like NIVEA, Eucerin and La Prairie).